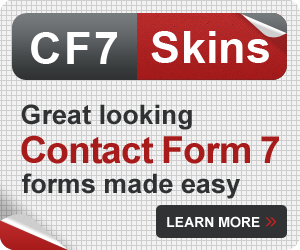 This article is about using CF7 Skins Multi in the Contact Form 7 form editor. 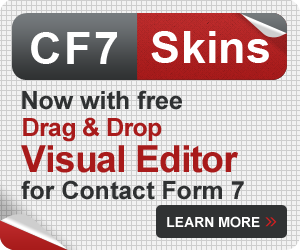 To learn about using CF7 Skins Multi in the CF7 Skins Visual Editor, see CF7 Skins Multi (with Visual Editor). 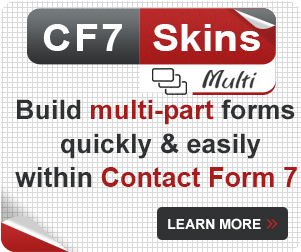 CF7 Skins Multi allows you to break your Contact Form 7 forms into multiple steps easily. Forms can be divided where required, quickly & easily, right within the Contact Form 7 plugin interface. Multiple page forms are the modern way of handling long forms. Generally, users are much more comfortable in filling forms section by section, instead of going through long forms. 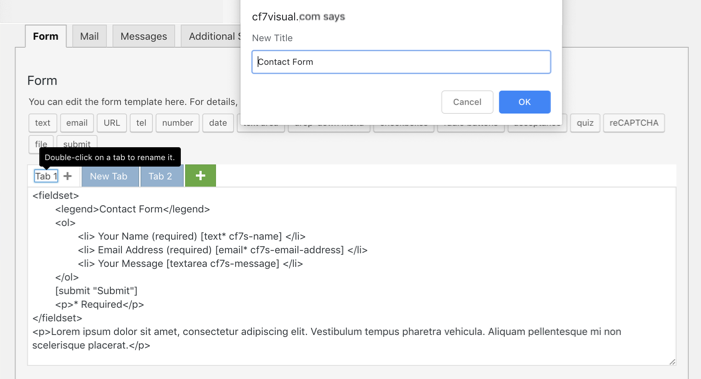 In this article, we show you how to use CF7 Skins Multi with Contact Form 7’s form editor to build your own multi-page form. To begin with, let us take a look at a multi-page form example. 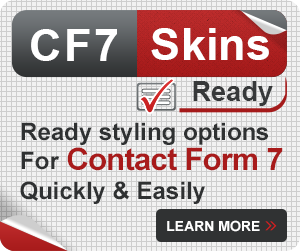 Start by selecting the Contact Template from the Template tab of the CF7 Skins section. With the CF7 Skins Multi plugin activated, there is a section at the top of the CF7 form editor for CF7 Skins Multi pages/tabs. Next, creating an extra specific page of your form is the same as you would for a single-page form. 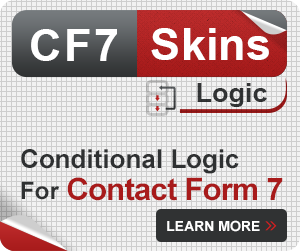 You can refresh your memory on how to build a single-page form at Edit your CF7 Skins Form (Contact Form 7 Editor). Tip: You can use the CF7 Skins Templates Tab on each section (tab) of the form as you normally would on regular CF7 Skins forms. Click on the + icon to add a tab. You can now edit the tab as you need. Click on the + icon of the tab before where you want the new tab to be. Double-click on each tab to rename it. A dialog box pops up where you can change the name of the tab. You can choose from the range of options available for your multi-part form. Tip: Click on Multi Options to show/hide the options and pick the ones you want for your form. To remove a tab, simply click on the x icon. Tip: Once you save the form, you cannot undo a delete action. Besides, you can also use the CF7 Skins Visual Editor to create your multi-part form in a similar way as using the traditional CF7 Form Editor. You can now complete the form below to see a CF7 Skins Multi form in action. You can see a detailed example of how a CF7 Skins Multi form works and help us at the same time by simply completing this form. It will help us to understand better how you might use the CF7 Skins Multi Add-on. Multiple Page Forms is the modern way of handling extensive forms. Generally, users are much more comfortable in filling forms section by section instead of going through long forms. Please tell us how you use WordPress and your current level of experience. Which of the following best describes you in relation to WordPress? This page was created by selecting the Event Template and adjusting to our requirements. With CF7 Skins Multi you can break up your forms into separate parts/tabs/sections as you want. We're interested to find out which of the many features included with CF7 Skins Multi are most important to you . This page was created by selecting the Survey Template and adjusting to our requirements. If you have any suggestions to improve our CF7 SKins Multi Add-on you can add them below. This page was copied from the Contact Template and adjusted to our requirements.